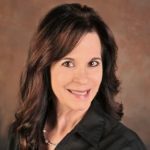 Suzanne Hafer — founder and owner of Hafer Accounting & Tax Services — is a QuickBooks Certified ProAdvisor with a masters degree in accounting and is an Enrolled Agent licensed by the IRS. She offers a wide range of services which include bookkeeping, accounting, payroll processing, tax preparation and planning, financial reporting, IRS representation, business consulting, and QuickBooks troubleshooting. Work For Hafer Accounting & Tax Services? Claim This Page.